Michelle and I. 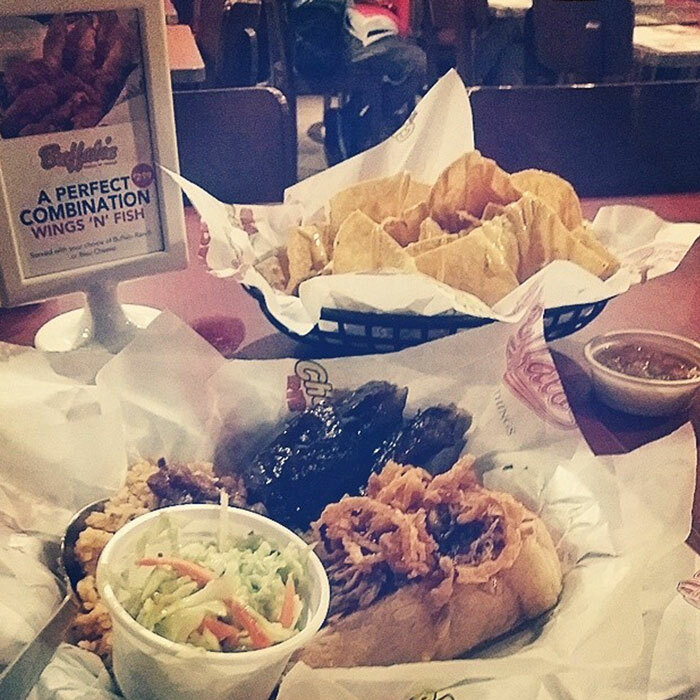 It was our first time to eat together in Chubby’s Rib Rib Shack. When we entered, the ambiance prepared us for a delicious food that would match the place. A modern shack with woods, metals, glasses and bricks as its interior design. Pop music was playing on background. There were only few people eating that time so we have the luxury to choose where we want to sit. Then, after we analyzed the menu and consulted the waitress, we ordered what we think would be the best and most delicious. Me and my friend threw questions and answers with each other while we waited for our foods to be served. Good thing there was no right or wrong, we just simply listened to what each other had to tell. After a couple of minutes when all of our orders were completed, we still continue to talk about stuffs while tasting Chubby’s Original meal, a combination of imported Riblets and BBQ pulled pork with homestyle BBQ sauce. The BBQs were served with 17 secret herbs and spices and was slowly smoked to tenderness. Then, we were ingesting the Texas Toast, Honky Tonk Rice and Coleslaw while we chat about random things: life, work, friends, etc. We also ordered Nachos with Jalapeño which was also tasty. After digesting the foods and paying the bill, they gave us discount coupon that we could use next time! Overall the sumptuous food was great, the place was cozy and the staffs were hospitable. This was our catching up at Chubby’s. This entry was posted in Food Corner, People & Events and tagged chubbys, food, friend. Bookmark the permalink.